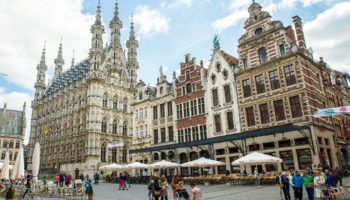 Internationally famed for its fine chocolates, beers and waffles, Belgium is a beautiful country populated with historic cities, medieval castles and impressive architecture. 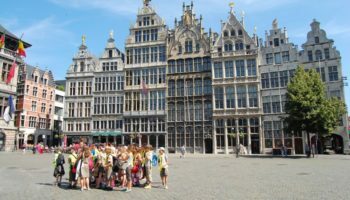 Nestled in between the Netherlands, Germany, Luxembourg and France, Belgium comprises two distinctive cultural regions, which are the Dutch-speaking Flanders in the North and the French-speaking Wallonia in the South. 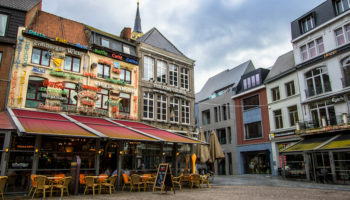 Flanders is home to many of the country’s vibrant cities whereas Wallonia contrastingly features rolling countryside, rural farms and forests. 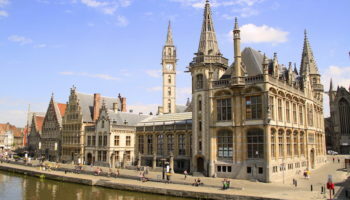 At the heart of Belgium is its thriving capital city, Brussels, a cosmopolitan city rich in museums, dining, shopping, nightlife and fine art and architecture that is exemplified in the famous Grand Place and the remarkable palaces and churches such as the cathedrals of St. Michael and St. Gudula. Belgium’s most popular destination, Bruges, enchants tourists with its romantic medieval town known for its Flemish art, 13th century belfry and oodles of chocolate boutiques. 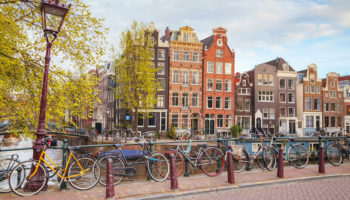 Other prominent cities include Antwerp, a bustling port best known for its wealth of diamonds and designer fashion shops, and Ghent, a lively city combining both historic charm and youthful ambiance with its university. Ypres is significant for its WWI history, while Waterloo is famously linked to Napoleon. Located in the southeast, the unspoiled Ardennes region is favored for its natural beauty and outdoor recreation.